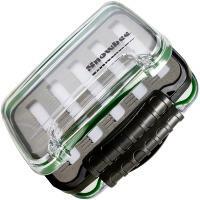 Snowbee Easy-Vue Waterproof Fly Box - Medium - The medium size box holds up to 220 flies (not included), making it ideal for the still water or reservoir angler. 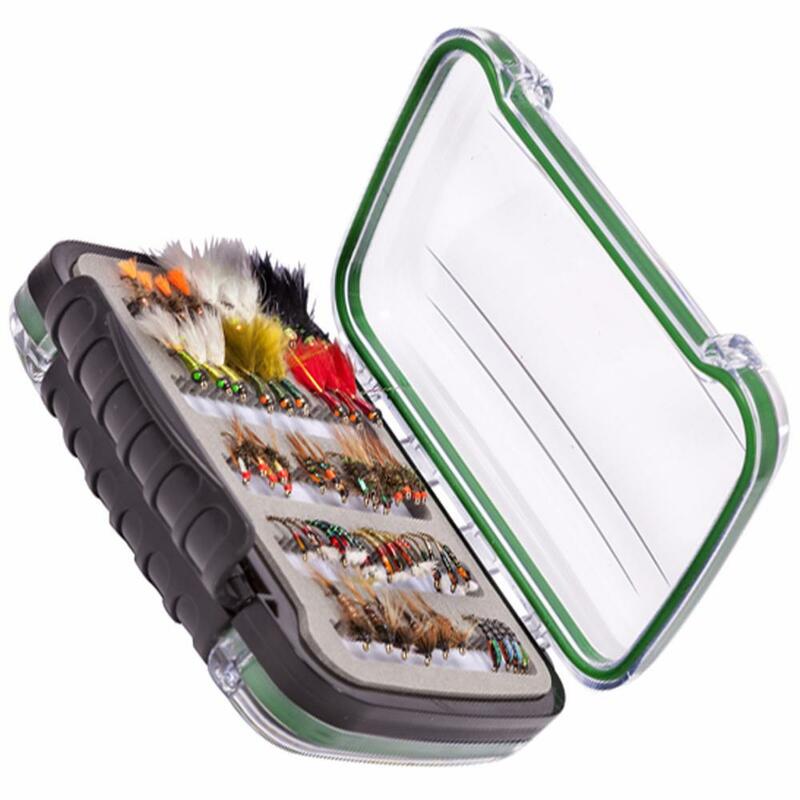 Easy-Vue Waterproof Fly Box - Medium - 4.9" x 3.6" x 1.4"
Snowbee Easy-Vue Waterproof Fly Box - provides flexible fly storage (choice of 3 sizes) for all requirements. 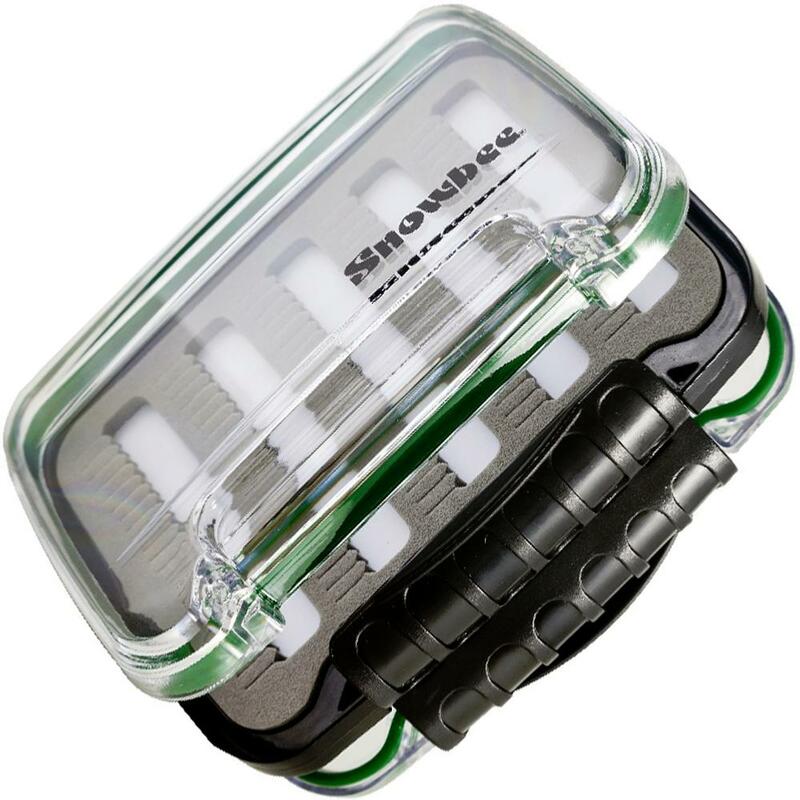 Snowbee Easy-Vue Waterproof Fly Box has tough body moldings provide strength and crack resistance, while the double hinges allow the transparent ABS lids to fold to 180o for easier access. The double-sided design maximises storage capacity for the space used & has a silicon rubber seal all around to keep your valuable flies dry. The Easy-Vue Waterproof Fly Box range feature a white back-card onto which the high density Micro-slit ethafoam liners are mounted, so flies show up more clearly, for easier fly selection. 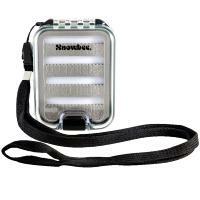 Snowbee quality and sensibly priced. What more can be said. Just the job easy enough just to pop in your pocket lovely. 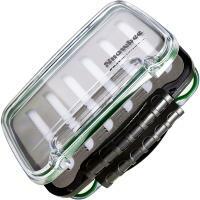 Lovely well made strong fly box. Will order the other sizes.